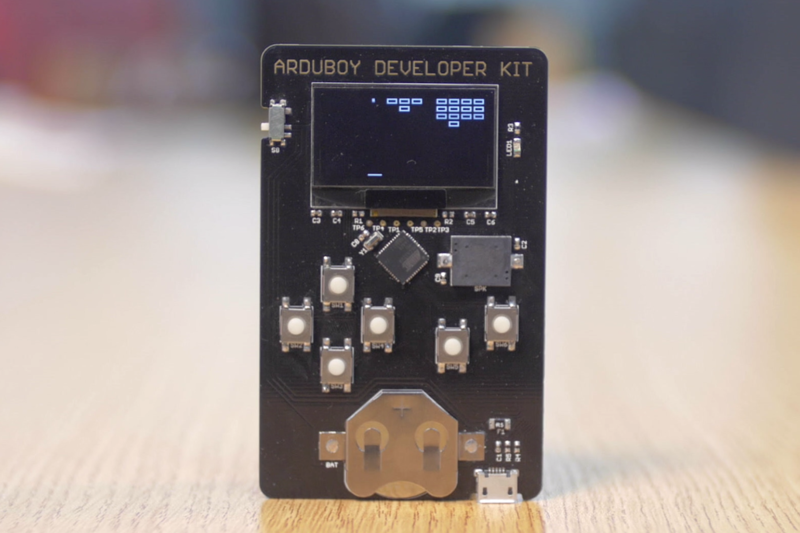 Arduboy Developer Kit - The easiest way to make and share games! Arduboy Developer Kit is Discontinued! Sorry! 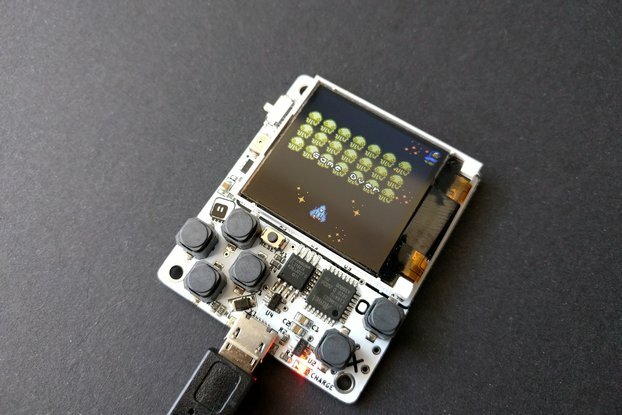 Powered by Arduino, Arduboy is a full-featured computer that fits in your wallet! 1.3" OLED Display: Black and White. Brilliant and Crisp. Tactile Touch Buttons: Lightest touch buttons available on the market. Piezo-Electric Speaker: Multichannel sound with available mute function. 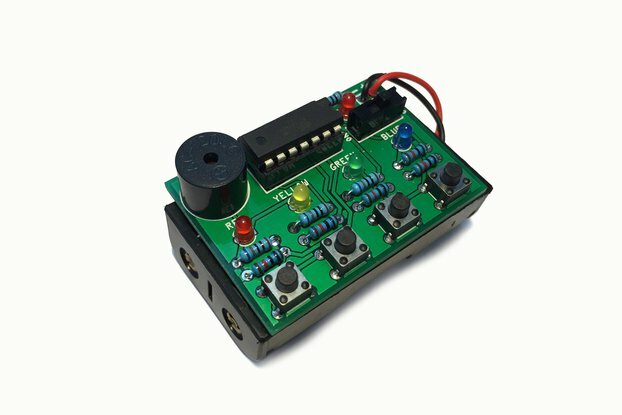 Replaceable Coin-Cell Battery: 4+ hours of playtime on standard batteries and 1 hour on rechargables. Atmega32u4: 16MHz, 32KByte Flash Memory, 2.5KByte SRAM, USB support, Arduino bootloader. How do you respond when someone asks you: "What do you do?" Arduboy was created out of a desire to quickly answer that question and inspire others to reconsider what is possible. If you can program Arduino: you probably have many projects you would love to share! But carrying around a solderless breadboard with jumper wires is not always the easiest task. This is where Arduboy comes in! What better way to show off your programming skills than to hand someone a physical device containing software you created? If you are new to programming: Arduboy is the best way to get started! Because it is powered by Arduino there is already a vast community of amazing people who have shared tutorials and instructions to get started. Arduboy is the perfect education platform to teach about micro-controllers because it lets you create things vastly more entertaining than a blinking LED! Lets not get too serious here, it's all about the games! Many More... The most exciting one could be made by you! Arduboy is partnering with Codebender to provide an online library of games that you can download to Arduboy with just one click. Even if you've never programmed before in your life, Codebender makes it easy to get games onto your Arduboy. But don't stop there because you will be also be able to change and modify these games yourself! What a great way to learn and get started! We are launching a little more earlier than we should. We still owe you documentation, schematics, board files, drivers... everything you need to fully realize the Arudboy game system. Please pardon our construction as we work to quickly fill these gaps! Thank you for your support!! This developer kit is well put together, good looks and brains all in one tiny package. Download some sketches from the GitHub site and start hacking away on your own customized games on this platform. Good communications, documentation on the project site. The beginnings of an awesome user base and forum for exchanging ideas and suggestions. Shipping is from China, so not the next day, but not too slow either. very good! amazing simple product. Got my dev environment all set up late last night and sent a few demos to the device. Can't wait to code for it. I get the feeling that the audio is a little flakey as it seems to only work sometimes. Still super excited to have something to play with before my production models show up. This is definitely the cleanest and most professional Arduino designs I have ever seen. I have not written code for it yet but plan to when more game are available. Sort of a half-hearted attempt at a neat product. Just for a start, it's called a "Dev Kit" but for $50 all you get is a $10 PCB. No cables, no power supply, no docs, not even a battery. Online support is almost non-existent except for a forum. I still haven't figured out where to download code samples. 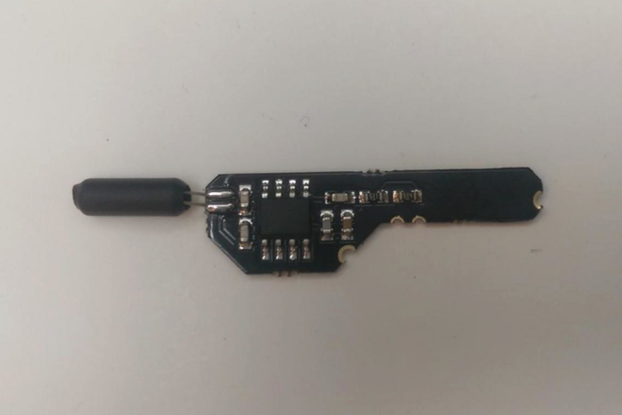 The sellers need to spend 5 minutes looking at Adafruit to see how it's done. Lack of documentation but its a dev kit so I guess its for the devs to learn. Otherwise a great product and I've enjoyed the development so far on the device. I've learnt so much in just a week of having the device. Received my Arduboy today within 10 days from order to the UK, very happy with the quality of the product, Looking forward to the up coming documentation and codebender additions.